Now a days the social networks are becoming a playground to spread a myth in a few minutes around the globe. Most of the Healthcare myths are about diseases like AIDS and Cancer. 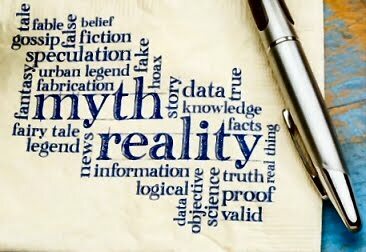 Millions of educated people fall prey to myths and forward these myths further, thus creating a chain reaction. In most of the myths there is some treatment for a fatal disease and that treatment is very easy to get. These myths not just harm a single patient but complete society. Recently a myth surfaced on facebook regarding Treatment of Cancer through Vitamin B17. Reality was that there is no Vitamin B17 and the treatment described in that myth can cause cyanide poisoning. That myth made me write this article. Why don't we think twice before forwarding such messages ? Why don't we think that if the treatment is so easy then why so many people are dying due to that disease. Most of such myths treat doctors as a villain, as if they don't want you to know that because if you know that then how will these doctors earn. False Hope: The biggest harm created by these myths is false hope. A patient on death row gets a false hope and either he/she gets disappointed in the end or loses some thing more than that. Not just the patient, even the close relatives who want to save the patient feel themselves cheated in the end. Wastage of Time and Money: Both Time and Money are important for a patient, especially if the disease is a fatal one. Most of the medical myths circulating in social networks are either regarding AIDS or Cancer. Wasting time and money of these patients is really something serious. Nobody knows from where they are arranging the money for their treatment and how many other people are devoting their time for them. So the educated society should think twice before forwarding any medical myth, without knowing its truth. 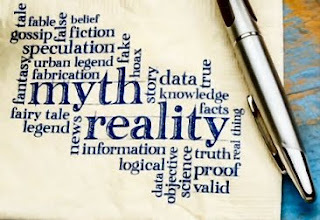 Myths create a disbelief between Doctor and Patient: Another harm done by these myths is that it create an environment of disbelief between doctor and patient. After reading such myths, patients starts to believe that doctor is just earning money by giving a false treatment while there is an actual treatment available for his/her disease. Affects the actual treatment: Some patients get so much inspired by the myth that they try to avoid their ongoing treatment and go towards the treatment given in the myth circulated on social networks, which is nothing but an alternative therapy with no research and scientific evidences behind them. It affects the ongoing treatment and makes the condition worst. Doctors are Not Villain: Greediness is a human trait but that does not mean that doctors will let their patients die for the sake of money. Good and Bad people are in every trade, but this world is going on only due to good people. If there is any treatment available for any fatal disease, then doctors will be the first to tell about it. Why would they miss a chance to get a Noble Prize. Instead of believing myths, believe your doctor. No doctor would like to see their patient suffer. Whenever you read a post on social networks describing some miracle treatment for a fatal disease, just do some research yourself on internet to find if it is true of just a myth. If you don't have time to do that research then don't waste your time by forwarding something that you are not aware of.